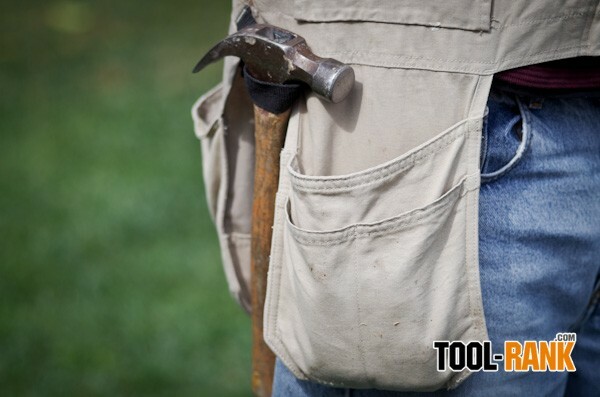 I can't imagine that the average tradesman, donning a well worn pair of work pants along with a comfortable tee-shirt, thinks about fashion while putting on a pair of rugged boots. 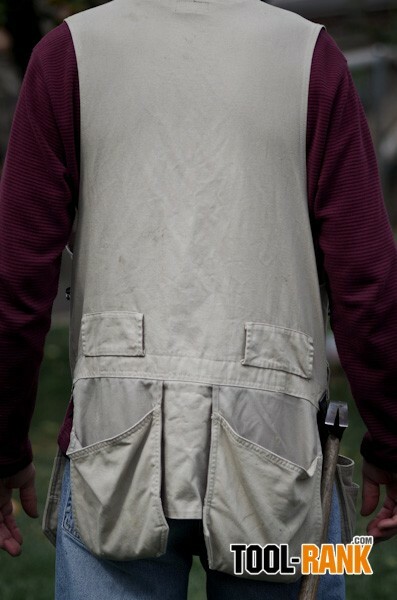 And a GQ kinda guy I am not—even off the job site—but when I tool-up with my Blaklader Bantam Kangaroo vest, invariably someone will notice and ask, "Where'd ya get that work vest?" 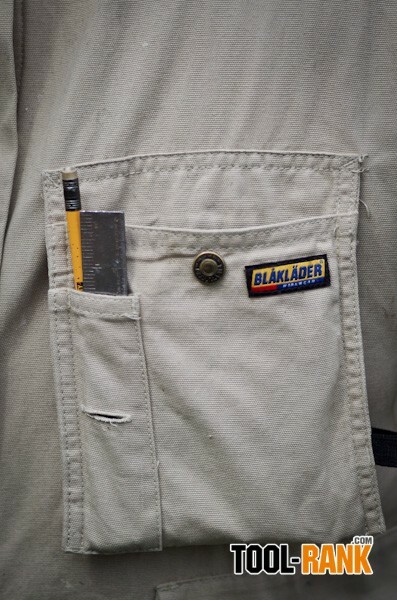 Framers, cabinet installers, and even electricians seeing the Blaklader vest note its practical use for their trade (in addition to its fashionable appeal). 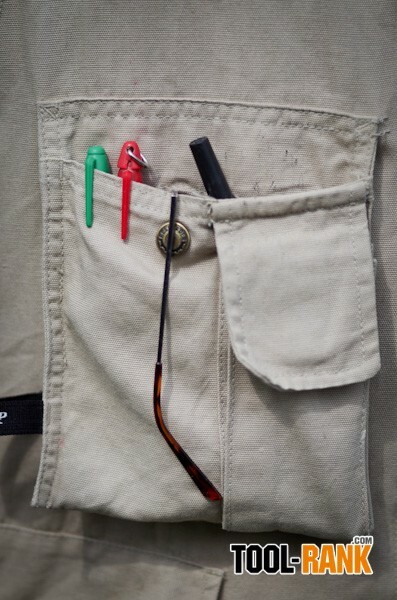 Any tradesman can appreciate the breast pocket array, great for carrying your pen/pencil, note pad, glasses, and even a small cell phone. 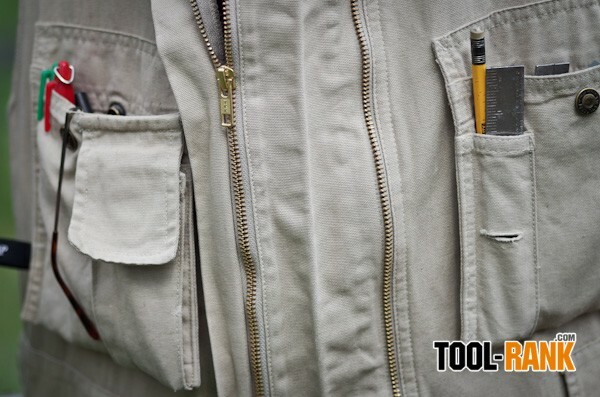 The vest's primary pockets are set nicely at the thigh and are segmented for a variety tools, nails, wire nuts, you name it. 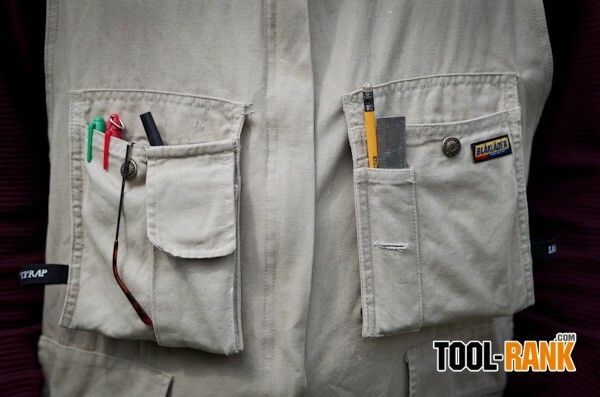 And the back pockets hold plenty more of the same. This vest also has an expandable feature that allows you to wear it over a jacket or bulky sweat shirt. I really prefer this vest for its comfort and function over the typical tool belt; and where an apron is limited to what you can comfortably carry, the large pockets on this vest will allow you to really load-up at the supply bin. I like the way this 8 oz. 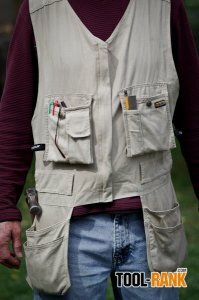 cotton vest distributes the weight of what I carry; and the triple stitched seams ensure that the pockets don't tear away with the load. 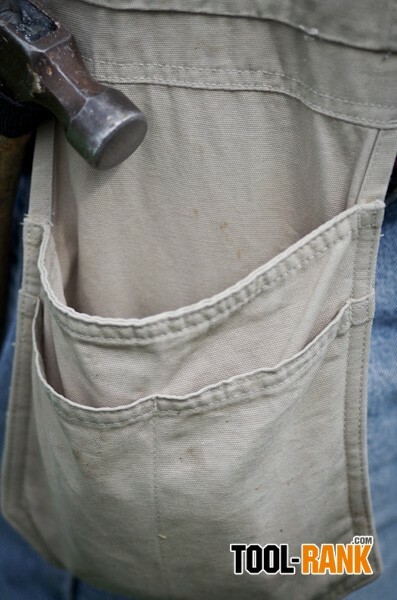 Another feature I discovered remedies my frustration of losing items from the breast pocket while bending over. With a regular apron, every time I reached for something from the floor, I would lose the contents of the upper pocket—pencils, markers, glasses all ended up on the floor. 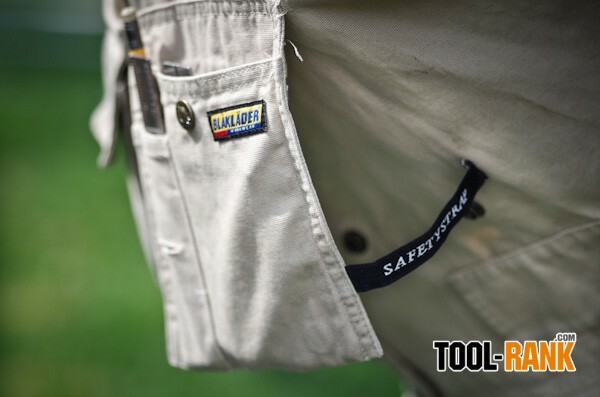 But the Blaklader Kangaroo vest has upper pockets that can be unsnapped at the bottom of the pocket allowing the pocket to level out in a bent over position. The Blaklader Bantam Kangaroo Vest was provided by Contractors-Solutions.net for review. 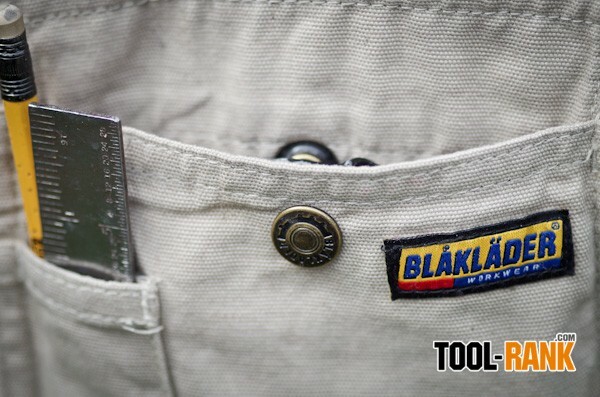 Contractors everywhere know Blaklader for its durable work wear, pants and jackets; and they can all be found at Contractors-Solutions.net. But in addition to outfitting the tradesman, Contractor's Solutions can also supply what it takes to outfit your truck or van. From ladder racks to lumber racks, van shelving to steel cabinets, you can look to Contractor's Solutions for their expansive array of transport accessories.